Coach Marcel Leteri Sasso de Oliveira, referee and coach at the 2017 Grappling Industries in Melbourne. Published 14 April 2017 at 1646 × 1648 in Coach Marcel Leteri Sasso de Oliveira, referee and coach at the 2017 Grappling Industries in Melbourne. 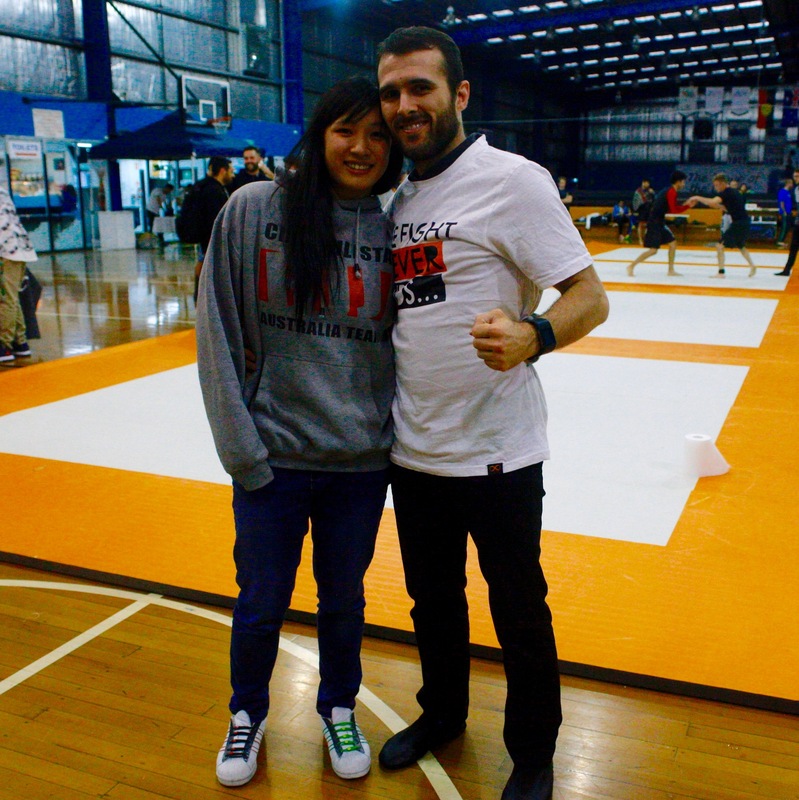 Marcel Leteri Sasso de Oliveira, coach and referee at the 2017 Grappling Industries in Melbourne. Gold Medals for David D’Aversa and Michael Rybak.